GC Ruscello floss. It’ll brighten your day with its colours and freshness and look after your teeth with its wedge shaped fibre innovation. 1.Remove plaque thoroughly! 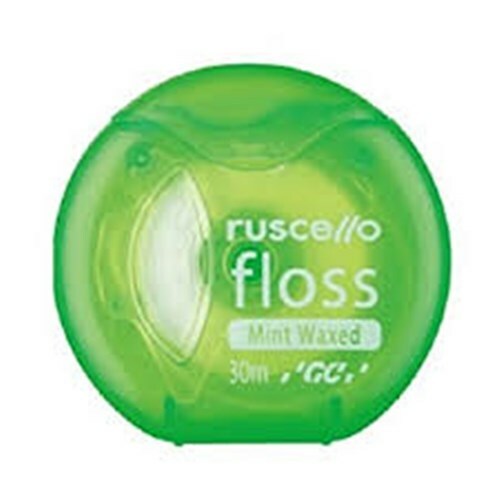 Ruscello floss adopts micro-fiber whose size is approximately 1/100 of human hair. 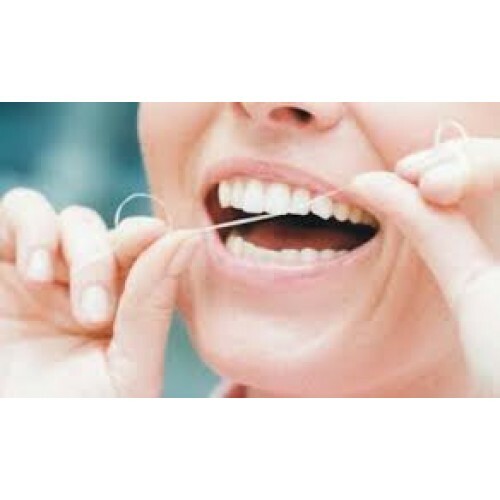 5 times as many fibers as existing floss. Easy to reach every corner in the mouth and remove plaque completely! 2. Wedge-shaped fibers with edge help remove the most stubborn plaque! 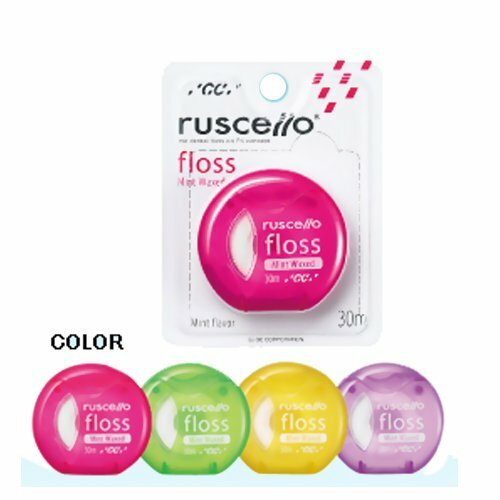 ruscello wedge-shaped fibers with edge allow users to remove the most stubborn plaque without difficulty. 3. Waxed coating allows the floss to slide between teeth easily! highly recommended for beginners and those who have tight spaces between teeth. Mint flavor brings about refreshing feeling. GC Ruscello floss is used as part of you daily oral hygiene. Use daily to remove debris between teeth, braces, oral appliances and implants to keep your teeth and gums healthy and your mouth feeling fresh and clean. Use after each brushing and after meals. 4. 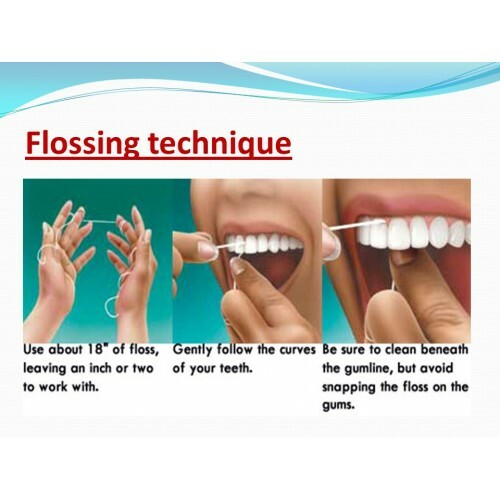 Hold the floss with thumb and index fingers. Keep the distance at 1-2cm. 5. Stretch the floss with thumb and index fingers. 6. Slide the floss between two teeth so as thumb finger stays in front of and index finger stays at the back of the teeth. 7. Stretch the floss with index fingers. 8. Direct both index fingers downward. Slide the floss between two teeth and move back and forth to remove plaque. 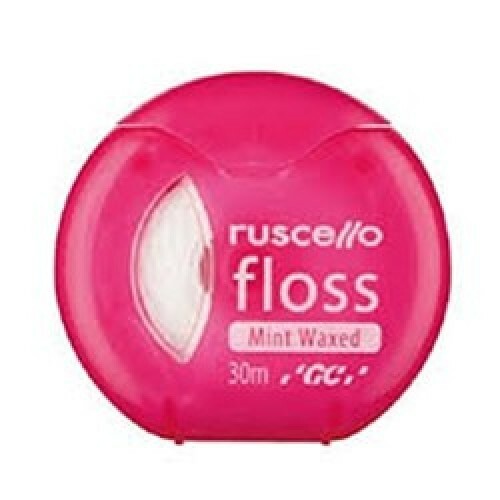 Product Description Oral B Essential Floss has a light wax coating, and a shred resistant textu..
Family friendly Dental Spa Water Floss is a convenient and easy way to floss your teeth. The water ..